“God be praised! The devil takes him!” The Duke of Wellington, playing with a pair of diavolo sticks, tosses Napoleon into the air, 1815. © The Trustees of the British Museum. French Canadians were firm supporters of Britain during the Napoleonic Wars. 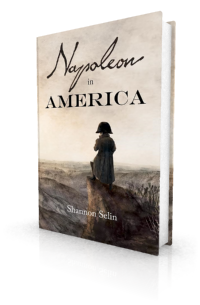 I have been blogging about the historical characters in Napoleon in America in order of their appearance in the novel (here’s a list of those blogged about thus far). We now reach the point in the tale where Jean-Baptise Norau, from Saint-Constant, Quebec, arrives at Pierre-François Réal’s home in Cape Vincent wanting to see Napoleon. As I already wrote about Jean-Baptiste when discussing the history behind my short story “A Petition for the Emperor,” I will instead take a broader look at how Napoleon was viewed by French Canadians in the early 19th century. This topic has already been masterfully covered by Serge Joyal in Le Mythe de Napoléon au Canada Français (Del Busso, 2013). If you read French, I highly recommend this book. Even if you don’t understand French, you will enjoy the stunning illustrations. Though Napoleon tends to be idolized today in French Canada, this was not the case when he was in power. Napoleon became First Consul of France in 1799, roughly 40 years after the Conquest, which is the term given to the British acquisition of New France (Canada) during the Seven Years’ War (1756-63). Any Canadian nostalgia for France was thus nostalgia for the Bourbons and the ancien régime. French Canadians were stupefied by the execution of King Louis XVI and Marie Antoinette in 1793. This reaction was shared by seigneurs and habitants alike. In their view, the French had committed the most odious crime. The sin was compounded by the Revolution’s treatment of the Catholic Church. The abolition of the clergy’s privileges, the confiscation of their property, the massacre of priests and the despoliation of churches were regarded as sacrilege by pious Canadians. Many of the affected clergy fled to Lower Canada (Quebec). They gave a needed boost to the flagging colonial church and brought firsthand tales of the Terror. French Canadians regarded Napoleon as the inheritor of the Revolution that had guillotined their king and overturned their altars. Political and religious authorities took advantage of this sentiment to combat the ideas of the Revolution and to solidify support for the British regime. The colony was full of articles, pamphlets and caricatures denouncing Napoleon. He was portrayed as a usurper and a tyrant aspiring to universal empire. He waged incessant war against England and her allies and menaced peace in Canada. England, the champion of the well-being and liberty of all Canadians, was combating Bonaparte’s ambitions with courage and tenacity. [Napoleon] has repaid with ingratitude and cruelty the paternal condescension of the Sovereign Pontiff. Hardly had [Pope Pius VII] returned to Italy when [Napoleon] aspired to constrain him, not only to close the ports of his States to the vessels of enemies of France, but to again declare him the enemy of all the nations with whom France wants to make war. The just horror of the common Father at this proposition, and his peremptory refusal to agree to it, were the pretexts the ambitious conqueror used to plunder him…. The perfidious hand that overthrew the thrones of Naples and Etruria and prepares to overthrow those of Spain and Portugal, has dared, in a sacrilegious attempt, to do the same to the chair of Saint Peter. The Pope has been removed from the list of Sovereigns, his States invaded, his person insulted and proscribed…. Such pronouncements – promulgated from pulpits across the colony – had an effect on public opinion. Outside of Quebec, Montreal and Trois-Rivières, French Canadians lived in isolated pockets and had little communication with the outside world. Largely illiterate, they relied on their parish priests for news. All of the French-language newspapers in Lower Canada were opposed to Napoleon. They rivalled English papers in their denunciations of him. Anti-Napoleon songs, poems and plays appeared. French Canadians contributed to voluntary public subscriptions to financially support England when she was threatened with invasion, and to erect a monument commemorating England’s victory at the Battle of Trafalgar. Nelson’s column in Montreal was built in 1809, over 30 years before the one in London. Almost half of the Montreal donors were French Canadians. They contributed 18% of the total amount raised, suggesting that a good number of the contributors were not from the seigneurial class, but were less exalted members of society giving the small amounts they could afford. (4) French Canadians feared that if Napoleon beat the British he would pillage Canada and then do what he had done with the Acadians in Louisiana – sell them to the United States. The anti-Napoleon chorus coming from the Governor and his entourage, the clergy, the leaders of the House of Assembly, the newspapers and the seigneurial elite left little room for dissent, although there were isolated examples of it. Some Canadians served in the French army under Napoleon. 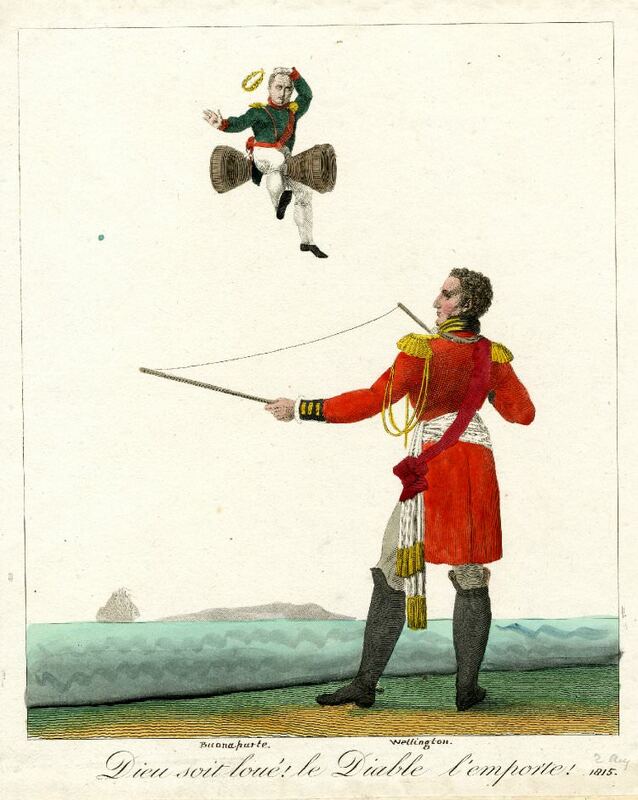 Others, left at home, had a sneaking admiration for Napoleon’s military skill. The writer Philippe Aubert de Gaspé quotes his father recounting how he appeared as a “bad subject” at a dinner at the Governor’s residence in Quebec in late 1805, when the impending Battle of Austerlitz was on everyone’s mind. Earlier that year, Jean-Baptiste Norau senior (the father of the Jean-Baptiste in Napoleon in America) had delivered to France a petition signed by twelve Montreal-area residents asking for Napoleon’s help in shaking off “the yoke of the English” (see the story behind “A Petition for the Empire”). In 1807, Governor James Craig became erroneously convinced that the French Canadians were ready to revolt. He put out a call for the arrest of a Frenchman named Cazeau or Cassino for having tried to raise the Canadians in favour of Napoleon. But the vast majority of French Canadians were loyal British subjects. They had no desire to revolt. Joyal argues that the real Canadian winner of the Napoleonic Wars was the Catholic Church, and that French Canadians missed the start of the industrial era in part because of Napoleon’s continental blockade. His book goes on to show how the myth of Napoleon in French Canada emerged after Napoleon’s death, and was adapted to serve political, social, religious and cultural ends. Nostalgia for a past that didn’t actually happen became part of French Canadian identity. The myth of Napoleon lives on, integral to the collective unconscious of the Quebecois. Têtu and C.-O. Gagnon, Mandements, Lettres Pastorales et Circulaires des Évêques de Québec, Vol. 3 (Quebec, 1888), pp. 53-54. Serge Joyal, Le Mythe de Napoléon au Canada Français (Montreal, 2013), p. 114. Philippe Aubert de Gaspé, Mémoires (Quebec, 1885), p. 205. Le Mythe de Napoléon au Canada Français, p. 11. John Henry Vivian, Minutes of a Conversation with Napoleon Bonaparte During His Residence at Elba (London, 1839), pp. 23-24. Clementina E. Malcolm, A Diary of St. Helena (1816, 1817): the Journal of Lady Malcolm, edited by Sir Arthur Wilson (London, 1899), p. 94. The Comment marked as 5) (Gaspe), is ludicrous in the sense that this man Gaspe considered the Austrian troops as being “the best troops in Europe”. I wonder where he got that idea from? Austria forever lost all of her wars,most educated Austrians would laugh at such an idea. But, of course, he was right about the outcome. A testimonial to the arrogance of the British in their thinking about the ” usurper”! And of many others! As if the so-called “Napoleonic wars” were all the fault of Napoleon! The war of 1805 was begun by Austria and Russia and paid by the British. Thanks for the comment, Irene. It is interesting to read the diaries, letters and newspaper reports of the time, to see the views that people held without the benefit of hindsight. Gaspé’s father’s opinion of the Austrian army was probably influenced by the pro-British sources prevalent in Lower Canada. And he is really saying that he thinks the French army under Napoleon is superior to the others. Yes, that is clear. And he was right. I still wonder where he got the positive ideas about Austrian military competence though. Must have been some pretty good propaganda. Napoleon might have gained more support in French Canada had he not sent his troops to Haiti but rather to New Orleans. His plan then was to recruit black soldiers for his forces from Haiti, which would have been just across the border from Georgia and the southern states. A French Louisiana Territory might have overcome the feelings you refer to in this wonderful article. Louisiana was, at that point, still French. The Louisiana Purchase (by the USA) took place after the Haiti incident, which kept the French troops more than busy. Austrian warfare evolved from Charlemagne and Friedrich The Great: Constant combat with neighbors, rebels and invaders, long term, life long, with military industrial complex and supply bases. Ottoman wars had significant influence, with infantry skirmishers and probing attacks by light cavalry. Napoleonic tactics emphasized concentrated firepower, speed of maneuver and foraging on foreign resources. Thanks for those details, John. It is precisely the higher flexibility and manoeuverability of the French system that made them victorious over the Austrians and Prussians. Together with the strong national and patriotic enthusiasm of the French. Unfortunately that roused similar feelings in their enemies and, further on, during the course of the 19th century,led to the fatal dominance of Nationalism in European politics and warfare. This apart, Austrian armies were never terribly successful for long, or often. Exception: under the leadership of Prince Eugene of Savoy in the late 17th and early 18th century. Which led to the greatest expansion of Habsburg territorial rule. Many French clerical exiles settled in the United States as well as Canada. I believe that at one time four of the six bishops in the United States were French émigrés. Many of those clergy, including DuBourg, returned to France and used the skills they had honed in America to rebuild the French Church. I take it as an example of the mutually beneficial relationship between the United States and France. Thanks, Jim. That’s very interesting about the clericism of the French who settled in St. Louis, and how DuBourg and his colleagues helped to rebuild the church in France. Napoleon apparently had ambitious plans should he have landed in America: Convince America to declare war on England and take over Canada? Thought he’d be more inclined to become emperor of Quebec! Thanks for your comment, George. Napoleon’s plan to convince the Americans to declare war on England and take over Canada was in the context of diverting British resources from the war against France in Europe (and he essentially got his wish with the War of 1812, though the Americans were defeated in their attempt to conquer Canada). As for why Napoleon wasn’t interested in conquering Canada himself, I don’t think he regarded Canada as having much value, either strategically or in terms of resources. I’ve heard speculation that Napoleon’s designs had him sitting on the throne of Canada as well as what is now the Western United States. Any thoughts about that? And I’ve got a seemingly unrelated question connected specifically to the French Canadian issue. Why didn’t the French Canadians (prior to exiles to S. Louisiana) fight against the British in the U.S. Revolutionary war? Seems to me like they would have been natural allies at that time. Though it makes a fun alternate history scenario, I don’t think Napoleon ever seriously considered invading/ruling Canada. That’s a good question about the position of French Canadians during the American Revolutionary War. I haven’t done any research on the subject, but I gather from this article that the reasons they didn’t fight the British are similar to those that kept them loyal during the Napoleonic Wars, namely the clergy and leading citizens thought their interests were better served by sticking with the British Crown: http://www.thecanadianencyclopedia.ca/en/article/american-revolution/. The perfidious hand that overthrew the thrones of Naples and Etruria and prepares to overthrow those of Spain and Portugal, has dared, in a sacrilegious attempt, to do the same to the chair of Saint Peter.